One of my favorite finds last year was Old School Farm. I heard a few folks talking about it, so when I had company visiting for the weekend, I thought we’d check it out. We loved it so much, I took more company the following two weekends! What is the Old School Farm? Well, it’s a farm. 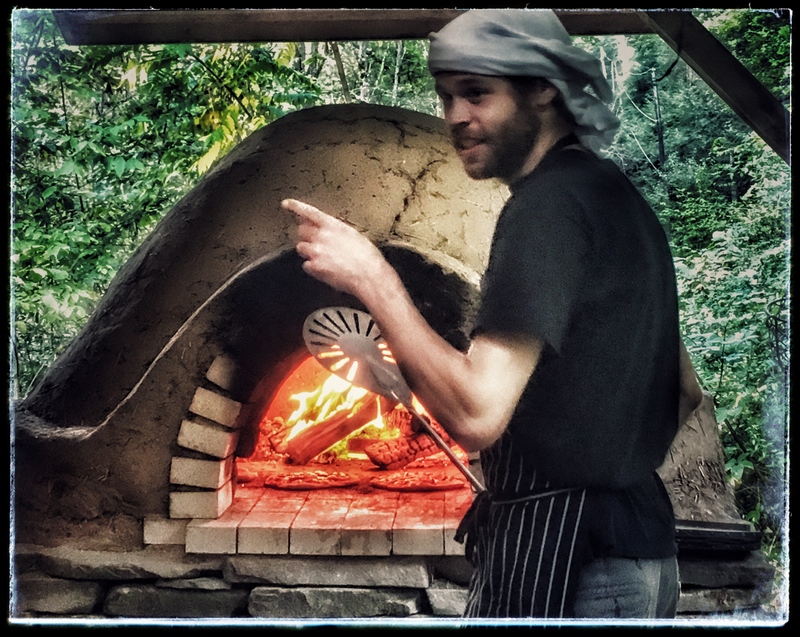 But it’s a farm that built an earthen oven and on Friday nights – beginning in May and through October, they offer wood-fired artisan pizzas. 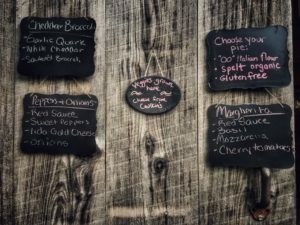 The menu presents three or four different pies with a choice of crust, including spelt and gluten-free. All of the sauces and topping ingredients come from the farm. They are grow organically in a fertile river-bottom soil that produces some amazingly intense flavors. 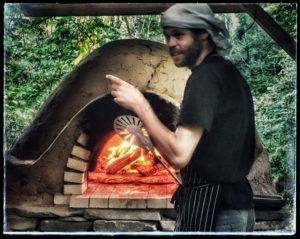 The oven was made from local raw materials and is fired with local hardwoods for optimum flavor. 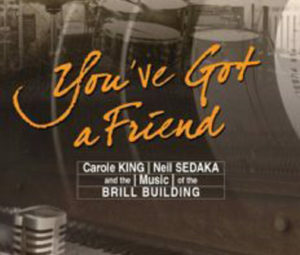 They provide live music, seating under the pavilion or under the stars around the bonfire. It’s very family friendly. You are welcome to bring your own appetizers and drink of choice. They plan to serve salads, soups and desserts this year which will be their third year. 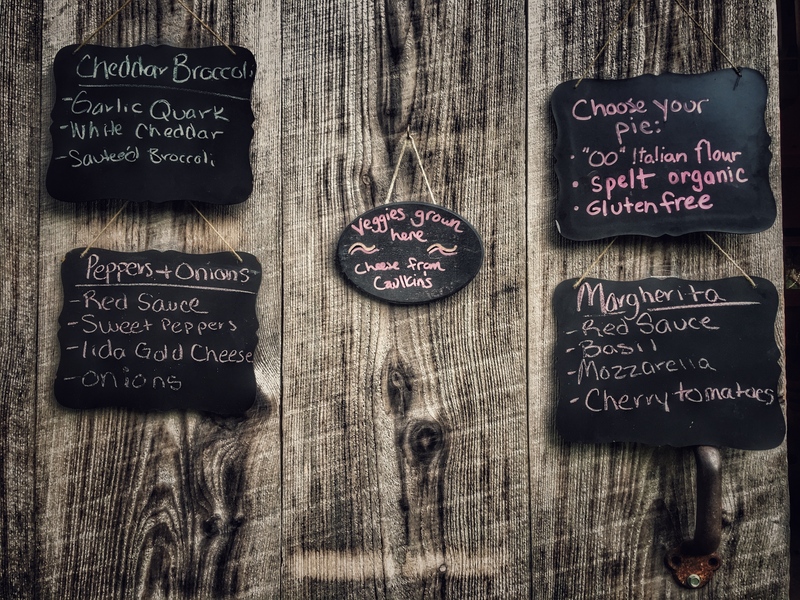 They also have produce and flowers from the farm available for purchase, when available. It’s a charming location even if it’s a little bit of a challenge to find on your first-time visit. But it is well worth the effort. Pies cost $12 ($13 for spelt) and they are the size of a dinner plate. Pizza is available between 5:30 – 9:30pm. Reservations are not necessary but plan to be patient especially at peak times (6p-8p). It’s an experience. Kick back, relax, drink in the fresh air, enjoy the music and gaze up at the stars. It reflects the clean, green natural environment that we live in along with socializing with good folks. Old School Farm dates to the 1800’s and was a Family Dairy and Vegetable farm for generations. They chose their name for two reasons: The previous owner of the farm was a teacher at the single room school house that once stood across the Dyberry Creek, and they believe in doing things in an “old school” old fashioned way. They are located at 303 Upper Woods Road in Honesdale. I love this place so much that I was reluctant to write about it because I don’t want it to get too busy. But, it’s too good to keep secret and I hope they thrive and keep doing it for years to come. Perhaps, they will add Saturday nights and even Sunday afternoons? It’s also a great venue for your wedding, private party, corporate gathering or whatever reason you need to meet for a great shared event. 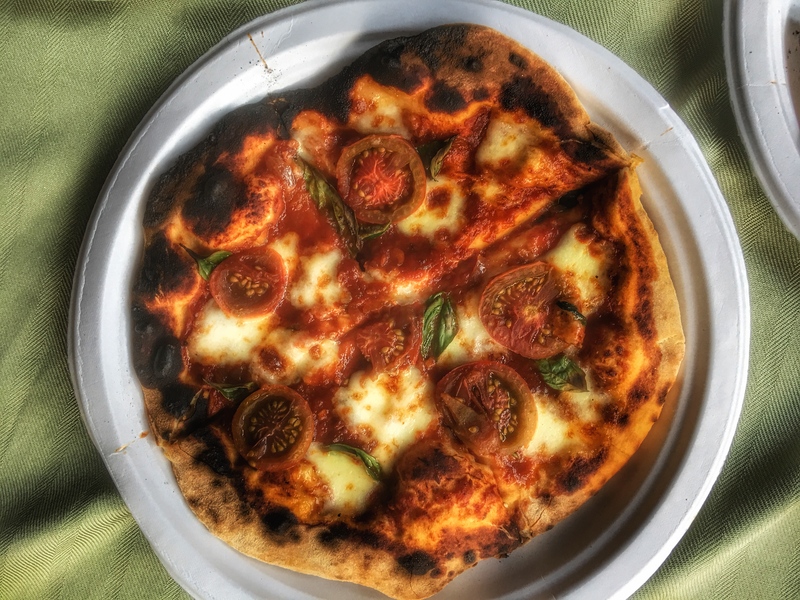 You can find them on Facebook @oldschoolfarmpizza or at www.OldSchoolFarm.com. 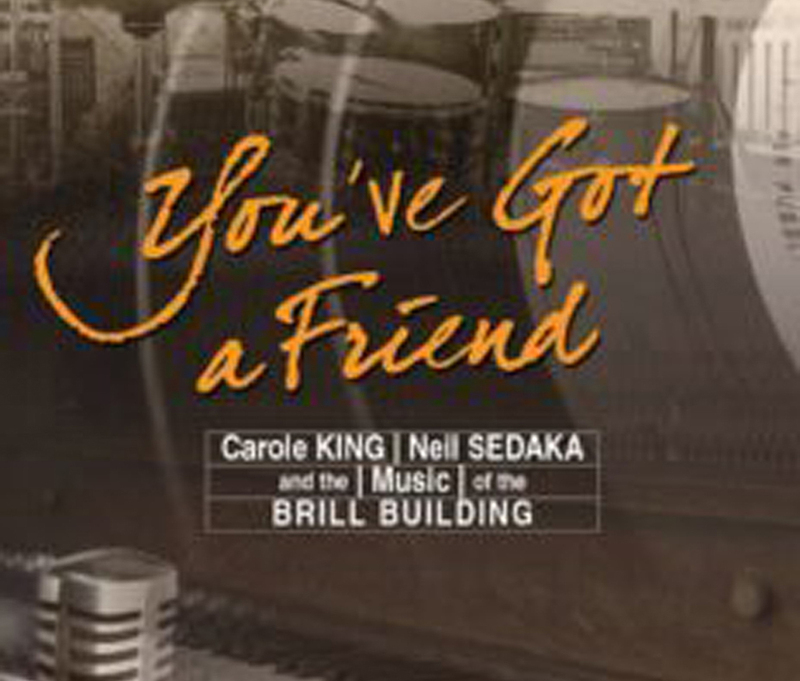 FYI: The Pocono Mountains Music Festival is expanding into Honesdale, June 15, 7;30pm, at The Cooperage with NY’s award-winning cabaret, You’ve Got A Friend: Music of the Brill Building. Visit www.PoconoFest.org for details.